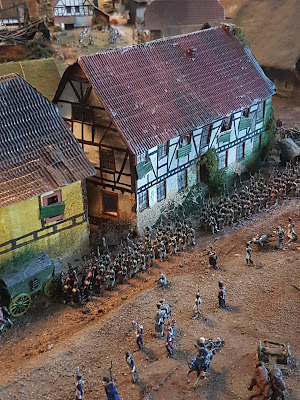 A report about the diorama in the "Museum Forum 1813" in Leipzig, Germany. It's just at the bottom of the Battle of Nations Memorial and really worth to visit. Thanks for sharing! The pictures on your blog are impressive! 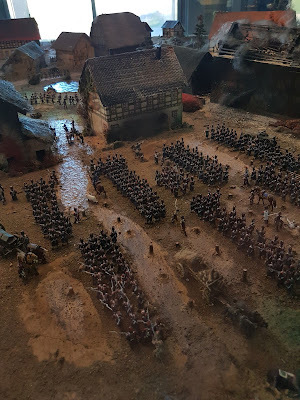 Excellent display, I wish more museums did this kind of thing. 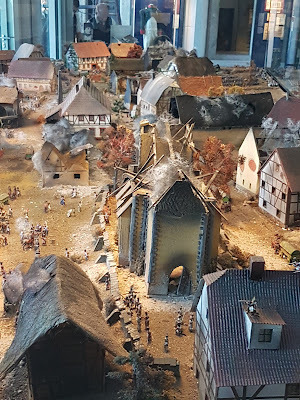 The modelling is fabulous, the burned buildings look really good. And a very thoughtful and interesting report. Spectacular stuff in the 'Grand manner'. Interesting modelling and lots of ideas. 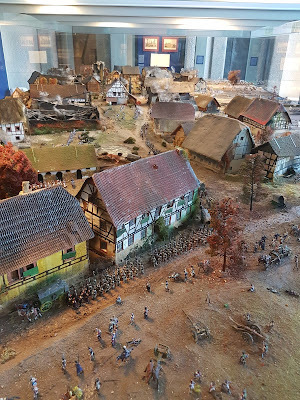 The diorama was build from my friend, Helmut Börner from Markkleeberg!